R.B. 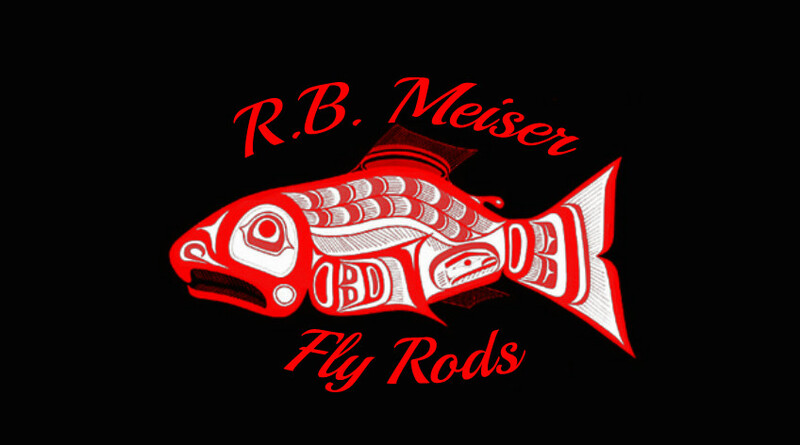 Meiser Fly Rods is located in the Rogue Valley of Southern Oregon. We have been building and designing two handed fly rods since 1986. We are a very small shop now made up of 4 crafts-people. We build single and two handed fly rods, and build them all one at a time. We generally build 400 to 450 rods a year, and all are custom built to client callouts. We use only our own in-shop designed blanks for our rods, and can do specifically designed tapers to meet exact individual angler needs. Although our rod building production is very small, we are proud of our involvement and influence within the worlds' two handed fly rod community. Both the Switch Rod and Grain Window concepts were originated in our shop. Both have now become generic terms within the two-handed community. We also do start-to-finish design consultation for several well recognized rod blank manufacturers from North America, Europe, and Asia. Over the years we have developed several hundred successful two handed fly rod tapers that are enjoyed by anglers from around the world. In the big picture of the fly fishing industry, these are very humble claims. But they are very important to us, as they have always been vehicles allowing us to interact with our anglers one-on-one within real fishing environments. We do fish, and we do understand the tools of our sport extremely well, as we design them all ourselves. Our anglers have always found our shop to be a reliable source of accurate information concerning two handed rods. We discuss the needs of our anglers on a personal basis every day. Our goal has always been to offer sound advice and supply quality tools that are intelligently selected to best meet our angler's specific fishing environments. Because of this: Our anglers have come to trust us over the past 15 years. Fly fishing is as important and ingrained within our own lives as it is for many of our anglers. We here do all truly enjoy fishing the two handed rod. In truth, our passion for this sport probably borders on obsession. Many of our best experiences and fondest memories are a direct result of shared interaction with our anglers. Every year our clients from around the world will share hundreds of pictures with us of their fishing trips. Whether these photos are sourced from far flung fishing destinations reached only by helicopter, or easily reached by a 20 minute drive with the job truck after work. We do appreciate them all, and will post many of them here on our website. One of the featured photographers on our website is Tokushi Yun. Tokushi San has one of the most beautiful collections of fishing photographs I have ever seen. His images are often whimsical, sometimes mysterious, but always a celebration of his friends; the beautiful waters they fish in Japan, the tools they use, and game fish they pursue through a four season fishery. Please take a few minutes and visit his website - dyun5.exblog.jp. My guess is you'll stay long and return often. We get dozens of beautifully tied flies that our anglers share with us, and trust me; we do fish them. We do also get the occasional bottle of fine Single Malt sent our way as well. And again trust me; we do drink them. Cheers, and good on you guys for that! We also have great fishing stories shared over many hours of friendly phone conversations, within clave gatherings, and around riverside camp fires. I admit that I do personally live somewhat vicariously through our anglers' far flung fishing experiences, but on occasions I have been able to join with a few of them on their shared secret waters. Some of the most challenging (and rewarding) requests for our two handed rods have come from anglers that have lost the ability to effectively hold a fly rod due to work related accidents or war injuries. A few rods have been built by our shop to fit in specially designed prosthetics allowing both two handed over head and anchor point deliveries. Some of these anglers had long histories of fly fishing prior to their injuries, and because of their physical challenges thought they could never enjoy their sport again. These tools have put then right back in the game, allowing them to again enjoy their favorite waters. This is just barely scratching the surface, as the list could go on and on. But the bottom line is: All of these things make our work here very gratifying. I felt that way then, and still feel that way now. We here at R.B. Meiser Rods do truly appreciate all of your support and personal fishing experiences that you have shared with us over these many years. … And thanks for allowing us to be a part of your fishing day.